How Gemstones Effects of an Individual's life? In order to discharge the native from such terrifying results of planetary dynamics and to veer off the lasting impacts of malicious planets, it is often suggested to wear a suitable gemstone. These gemstones radiate positive rays that combat the destructive energies and help get rid of forces that act against prosperity and happiness. 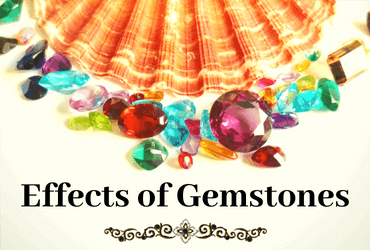 According to Horoscope Astrology, you can wear these gemstones in form of a necklace, bracelets, rings, armbands, etc. These life-saving gemstones are either found in the deepest of the oceans or venerable rocks near rivers and seas. Gemstones work on the energies based on colors. 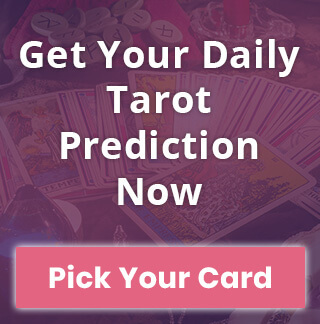 At times people who are quite skeptic of astrology often term the concept of gemstones as treatment through color therapy. Scientists have repeatedly observed the astonishing effects of colors on human body and Gemstones are just another example. There are different gemstones, all having distinct color, shapes, cuts, and luster, influencing the human mind and behavior in a unique way. Now, Sun is considered the source of all energy and affects every living form in the world. Sunlight consists of seven different colors and two additional elements that are ultraviolet and infrared. The seven basic constituents have vivid wavelengths and frequencies, therefore, they have different operating levels and influence the human body system distinctly. All the nine planets as mentioned above correspond to a particular color, hence they have a specific gemstone which absorbs all the light rays and allows only a single type of energy to pass through. This, in turn, is absorbed by the body and one can see the impact eventually. Mercury: Mercury is a planet that relates to thinking, intelligence, and wisdom. The gemstone suitable for this planet would be #Emerald as it offers the ascendant creative qualities, diligence, great memory, and ability to communicate. Venus: #Diamond is the best suitable gemstone for Venus. It is the most stylish and elegant gem known for improving qualities like attractiveness, artistic qualities, fortune, glamour. It helps in improving social stature, and defeating enemies. Mars: Known as the Red Planet, it corresponds to the gemstone that is in perfect consonance with the essence of this planetary body. #RedCoral is most suitable and enhances courage, and gives the ascendant an upper hand over the rivals. Jupiter: "Jupiter symbolizes mental strength", sense of judgment, and intelligence. #YellowSapphire is the best suitable gemstone for Jupiter. Also, it helps in restoring certain abilities that help in achieving success on the personal and professional front. Saturn: The gemstone best suited for Saturn is the #BlueSapphire. It improves resilience, brings calmness, logical foresight, strengthens trust and augments your professional status remarkably. It also ensures the increase in wealth acquisition and brings stability in life. Rahu: This highly disregarded and the despised planet has the best match with #HessoniteGarnet. This gemstone is quite popular for its sensational influence on the wearer within no time. It brings clarity and peace and helps in restoring lost glory at work and at home. Ketu: Ketu is known for its murky appearance and similar characteristics, therefore, it is represented by the #mysticgem called cat’s eye. This gemstone helps build a strong conscience, incredible concentration, and amazing decision-making skills. Moon: Moon is a representational figure of the emotional side in many mythological stories and traditional scriptures. Hence, the most suitable gemstone is #pearl. It brings about peace, satisfaction, love and respect for others. Sun: Sun is the symbol of strength and thus a gemstone that can help in achieving true values, courage, dedication, physical strength, and success would be the best fit. The beautiful piece of nature ie., Ruby Gemstone is one such gemstone that reigns over all such aspects. What Gemstone Should You Wear? There are several aspects that are taken into consideration while deciding on the most appropriate gemstone. These factors include weak and strong planets in the birth chart and the zodiac sign among others. 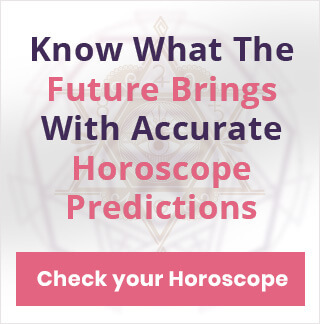 It is important that you consult an Astrologer before you decide on a particular gemstone, as if a particular gem is not suitable for you, it can have some terrible repercussions.